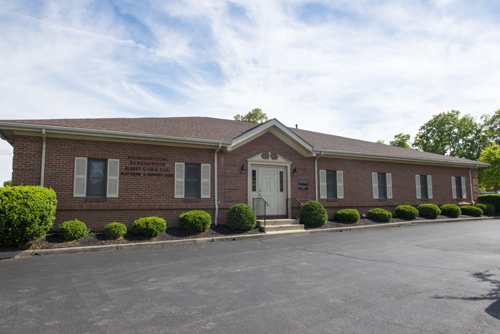 Our Doctors and our caring staff have been providing specialized endodontic care in Central Ohio since 1992. During that time, we have earned the trust of our referring dentists and their patients. Our mission is to provide the highest quality of care possible using proved, advanced techniques in a friendly and comfortable environment. We will meet the individual needs of our patients and work in conjunction with your Dentist. We will make every effort to ensure that our time spent with our patients will result in a positive experience. In our office, the patient always comes first. At Microsugical Endodontics, we are committed to using the latest, proven, state-of-the-art technology available in diagnosis and treatment, allowing for the best possible care of our patients. We take pride in the fact that Dr. Uhle and Niemiec use the surgical microscope for all root canal and surgical procedures, allowing optimum visualization of delicate root canal anatomy. In addition, we utilize a low radiation digital x-ray system and digital microscopic imaging that allows us to incorporate digital radiographic and photographic imaging into our patient records and referring dentist reports. We are committed to treating your dental needs comprehensively and to working with your general dentist as a part of a treatment team dedicated to establishing optimum oral health for you. It is our goal to partner with your dentist as a true extension of their office. Our "digital" office allows us to conveniently communicate any reports, x-rays, or photos to your general dentist quickly through the use of electronic transfer. Upon completion of treatment, each referring dentist will receive a full treatment report, which will be available for their subsequent treatment planning for you. Through specialized endodontic treatment we are able to save many teeth that may otherwise have been lost. We hope the information provided here answers many of your questions about what we do. If you would like additional information, please don't hesitate to contact us .